Abdul Kinyenya is the Founder of Batalo East, a not-for-profit organization dedicated to developing well-rounded young people through traditional and urban dance education, festivals, workshops, outreaches, arts consultations, theatre and social entrepreneurship. He is an educator, choreographer and entrepreneur with a passion for catalyzing social development through the creative arts and business partnerships. He has been a WIEF Young Leaders Network Fellow, a Hip Hop dance Ambassador with the U.S. State Department in 2010 and a Mandela Washington fellow 2016. Abdul is a grants advisor for the pollination project based in California working in Africa and worldwide and the Artistic Director of East Africa’s best-known hip-hop company, Tabu Flo who won the young achievers award in 2011. 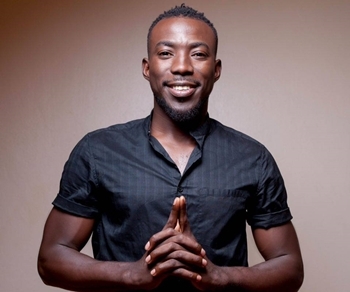 He is a resident artist at Uganda’s National Theatre and an instructor of creative dance fitness at Gems Cambridge and Ambrosoli international school. Abdul is also an accomplished facilitator in workshops and dialogues on dance movements and advocacy for the arts businesses in East Africa. Through his dedication to advocating for communities in need of a voice, he has choreographed, produced works that have toured Europe, Asia, and Africa and his works have focused on addressing social issues, including ‘ill-legitimate” about child labour, The Speech (freedom of expression with tabu flo), Fembi, typical with jonzi d and tabu flo performed at re-generations in the UK, the myth of the night dancers performed at saddlers wells theater at breaking convention, food security in karamoja, sustainable construction of safe greenhouses and water protection among others in northeastern Uganda. With a great passion for photography, he continues with his dedication to social developments and social-financial sustainability among creative young people in Uganda.